Apparently, Huawei isn’t quite ready to abandon the US smartphone market for China. As evidenced by the company’s presentation today, it’s ready to give it another go with the Ascend Mate II, a phablet with a 6.1-inch IPS screen. The battery is perhaps the most attractive feature of the Ascend Mate II: a 4050 mAh lithum-ion pack-in will provide enough power to watch 6 movies or listen to 100 hours of music, according to the company’s estimates. Power savings come partially from the display, which is only 720p. Even so, that’s a lot of raw capacity compared to other devices in the same class; Samsung’s Galaxy Note 3 has a 3200 mAh battery, while Sony’s Xperia Z Ultra battery is only 3000 mAh. A dual-core Snapdragon 400 clocked at 1.6 GHz powers the phablet, while an ample (but ungenerous) 2GB of RAM should facilitate a reasonable amount of multitasking. If that seems disappointingly midrange, maybe the camera megapixel count (13MP rear, 5MP front), the inclusion of a MicroSD card slot, and the ability to charge other smartphones and tablets (!) will make up for it. Maybe. 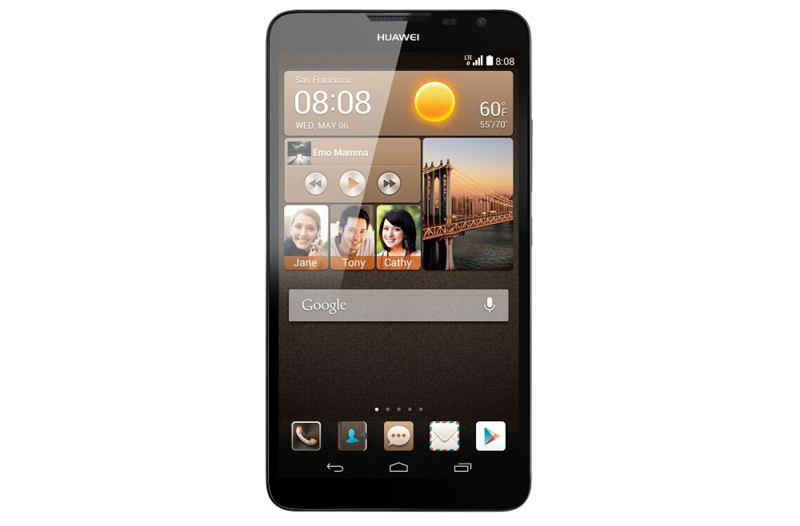 Huawei says the Ascend Mate II is compatible with all US 4G LTE networks. No word on whether it’ll formally launch on a particular carrier, but rest assured it’ll ship to American shores relatively soon.